One of the rarest breed of dog. 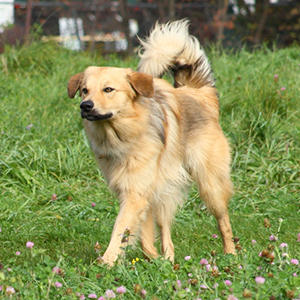 Good loyal family pet that interacts well with both children and pets. Used in dog-packing, search and rescue, skijoring and obedience and dog agility trials. 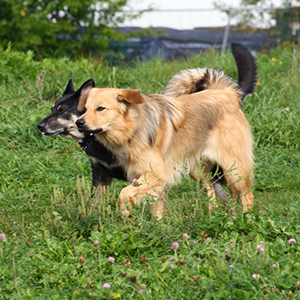 They are intelligent and are easily trained, responding well to reward-based training. Socialization will reduce tendency to be reserved around strangers and in new environments. 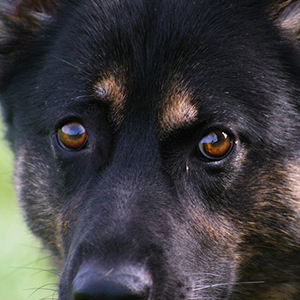 There aren’t very many of these smart and alert dogs to go around. 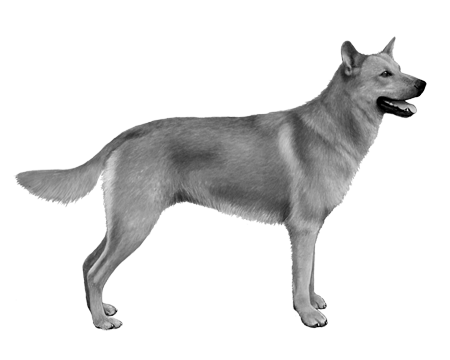 In 1965, the Guinness Book of World Records recorded the Chinook as the rarest breed, with only 125 dogs left alive. Only breeding programs have since kept them going. A rare sled dog from America, they were first bred in the early 20th century by an Arthur Walden. Walden wanted a dog that could not only pull sleds as a working dog, but heartstrings as a family pet too. While he succeeded, their numbers have continued to be low. 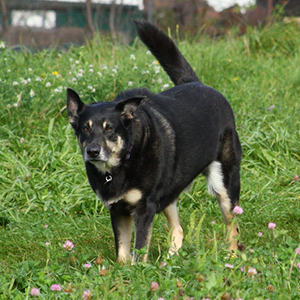 This unique mix of Northern Husky and Mastiff type dogs, German Shepherds, Canadian Eskimo dogs and several other breeds is very hard to find. But thanks to their devoted, friendly natures, very rewarding when you do.